 Drewry Construction specializes in residential remodeling and new construction including: custom homes, kitchen & bath remodeling, renovations, and additions. We are committed to providing the best service to our clients and no job is to small. Please contact us today so we can discuss your upcoming projects. Build your dream home on your lot using the highest quality material available for your budget. We can help you take your existing kitchen or bathroom and create something that you will enjoy for years to come. An addition is a great way to expand your living space and put your own personal touch on your home.